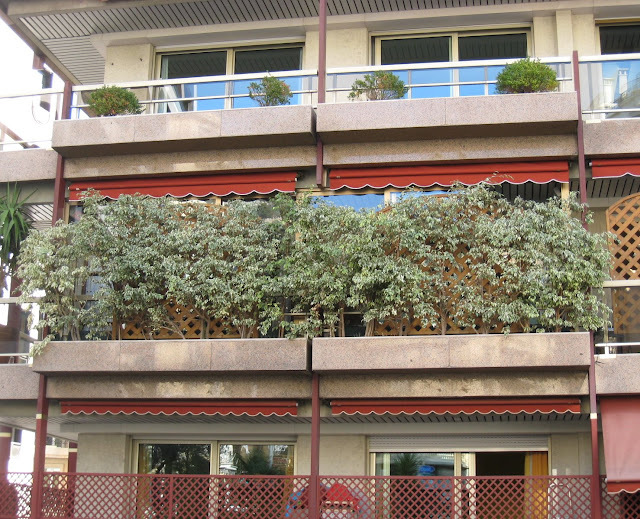 As you walk around Monaco, you'll sometimes see apartments with their balaconies covered in foliage - not for privacy, I'd venture to say, but to keep out traffic noise. This apartment is on Avenue de la Madone which rises up from the Casino area. Looks like they have been growing it for a while. Looks nice from the outside. It's all those racing drivers that live there for the um...climate.